Editor’s Note:Welcome to the first ever WTFSEO Ask Me Anything (AMA) thread. While we recognize that these AMA type posts are usually done on other sites like Reddit, we also realized that we don’t get any ad revenue from those sites, so we’re hosting it here. Go Ahead, AMA. I’m Dingy! * unless it’s about that incident at that place in Chinatown last Tuesday. I’m not legally allowed to comment on that until the resulting court case has been settled. 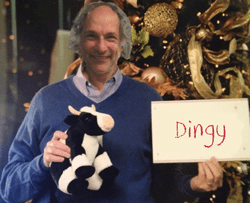 Hey Dingy – Huge fan here, it’s keeping me cool.